My 15-year-old daughter, Jackie Singer, asked if she could write a guest blog post after her great experience attending the inaugural TEDxYouth@Austin event. Jackie is a high school sophomore. I had the opportunity to attend the first TEDxYouth@Austin. Because I have grown up in the speaking industry (my father is a professional speaker and I have attended the National Speakers Association's "Youth Leadership Program" for several years) I am often hypercritical of speakers. Too often speakers do not have both interesting information and the skills to inspire an audience. However, I truly enjoyed listening to what every speaker had to share atTEDxYouth. The speakers and performers included Joseph Asfouri, Chris Kocek, Shree Bose, Ashley May, Premier and Final Cut, Garrett Weber-Gale, Joaquin Zihuatanejo, West Ridge Middle School Future City Team, Michael McDaniel, LimitLess Dance, Brandi Burton, Peter Stone, Ruby Jane, Jia Jiang, and Lizzie Velasquez. Each of them added something to make the event a success. It was inspiring to hear the stories of those who had overcome big challenges and achieved their dreams. At the same time, I was disappointed in myself that I didn't start playing the violin at the age of two, had won two Olympic gold medals, or achieved something else on this level. I believe that the team who created this event was fantastic in choosing a wide variety of speakers, of all ages and of very different backgrounds. The unique mix of speakers and entertainment was key in keeping hundreds of middle and high school kids entertained for over four hours. The hosts, Louis Lafair and Nancy Giordano, (and the entire planning committee) did a great job. The break was also great, when we were given the opportunity to meet the speakers and ask them questions. The snacks were also a nice plus, but my favorite part of the break was the activity. Everyone had been given colored stickers with their name badge and right before break, the hosts explained that if we were to exchange our stickers with others, ending up with one of each color, we could get a keychain made by a 3D printer (that in itself was pretty awesome). The idea was for us to reach out and meet new people, talking to those who we would have otherwise ignored. Unfortunately, everyone was just asking for different colors and trading rapidly in an attempt to gain every color and then rush to get the keychain. We probably should have taken more time to talk with other attendees! Although I was not able to stay for the reception, I walked away with a very memorable experience. I had a lot of fun and I can’t wait for next year’s TEDxYouth@Austin. My friend Dee Copeland Patience is the curator of a great web community and the host a series of fantastic video podcasts. Lipstick Unplugged™ is focused exclusively on helping strong women entrepreneurs build a bold online brands and platforms for their businesses. Dee shares that she wasted over $18,000 in her first 9 months online. She listened to all the gurus, bought every training out there and got way off base. She spent money on equipment, tools, courses and resources that wasted time and money. She does not want others to make these same mistakes. She believes that you don’t need a "high-gloss" and scripted act that tells you how to embrace your inner flower so you can buy a $25,000 mastermind program from a hard selling online guru. She also knows that you also won’t make money overnight with a blog, podcast, web show or Kindle book. You need to know what works, why it works and how to implement it fast. NO GLOSS. Dee has set out to get the stories and opinions of people who have achieved success in a variety of areas, and she does this with amazing interviewing skills that gets people to open up and share the details from their personal journeys. Check out all her interviews at Lipstick Unplugged. She posts a new video every other week. 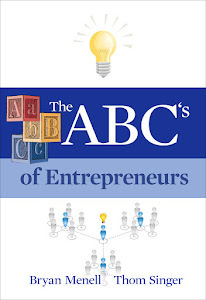 She also lists a variety of resources that can assist entrepreneurs find success. While the site is for women, men will find value there too! I had the honor of being interviewed by Dee ... you can see the video below. 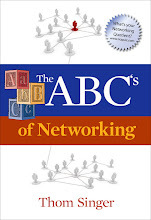 Inc. Magazine has an online article on their website by Erick V. Hotlzclaw titled "Why Networking Doesn't Work". The article is right and wrong at the same time. It misses the point, as it focuses the definition of the word "networking" as if it only means "working a room". He makes the same mistake others do by trying to categorize small pieces of what it is to network as the whole. 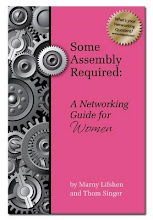 The problem with the article is in the semantics and definition of "Networking". "Networking is the creation and cultivation of long-term and mutually beneficial relationships between two or more people; where all involved succeed more because of the relationships than they would without the relationships". Now that works every time. A long-term and mutually-beneficial relationship is always a good thing!!! Holtzclaw sites "networkers" who run around collecting cards as the problem with networking. I don't see that very often. Yes, there are those who make idiots of themselves and have poor skills when it comes to engagement in the community, but that is not the average person at business events. I also take exception with the word "networkers" in the way he uses it... as I am not sure what "networker" really is by his definition. Nobody holds that job title of "networker" (whom I have ever met). Instead there are professionals in all industries who cherish learning about people, and cultivate meaningful connections that can (and will) lead to more opportunity for all involved. But they are not "networkers"... they are a Realtors, lawyers, doctors, sales professionals and all other vocations. The use of the word in this manner seems to undermine their real career efforts of these people. If it is anything, a "networker" is someone who does a great job of creating relationships and serving others, not someone who fails at the task. Networking should not be seen as a verb - "Oh, I need to Go Network". Instead it is a lifestyle and a commitment to the people you encounter in your community. As I read Holtzclaw's advice on how to do a better job,..... it was spot on right!!! However his tips for how to properly network and get them most out of your time and efforts was listed as if it was somehow separate from "networking". Parts are not the whole of networking. Yes, we can (and should) help others learn how to create the types of relationships that will lead to a better future and more opportunity. 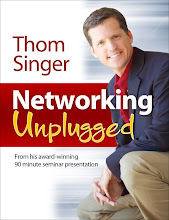 But he is not really telling people that message with the title of "Why Networking Doesn't Work". The reality of his article is educating people "Why Networking Does Work"....when done the right way. 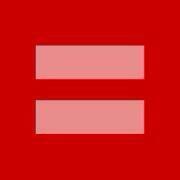 This graphic has taken over Facebook (and other internet sites) as people who differ on many other issues stand together in support of marriage equality in the United States. Creativity should not be a mystery, but to many business professionals it seems allusive. Most of us can remember times as kids when we played, colored, created art, made up songs and games, etc... But the social norms and pressures we face while growing up have caused many to put their creativity on hold once they reach their career. While some may have creative hobbies, too few allow this part of their life to mingle into how they conduct business. We seem to leave creating to those with job descriptions that call for artistic qualities - but creativity does not need to equal "art". We all face issues daily that call for solutions that are unique and fresh, but too often we take the proven route (with mixed results). Re-tapping the kegs of creativity and letting our minds discover new paths is needed in most business situations We all have it inside of us to do this, but too many do not trust their ability to color outsides the lines in our daily routines. In our fast paced and highly competitive world we need more people to attempt solutions to daily problems that block our success. Some fear they will be laughed at if they step beyond what is expected from them. Others worry about their job security as creative solutions are subject to failure. I have had bosses who clearly were not in favor of experiments. One told me that there was no room for any failure in marketing (by its very nature, marketing should be creative), as the company had a limited budget and waste was unacceptable This message was received loud an clear, but it limited the way the company promoted itself. Employees were scared to try anything that would not be seen as having a pre-set as a victory. While little money was lost, there was also limited gain from successful marketing campaigns or other promotional activities. Working for myself is changing my outlook on personal creativity in business. 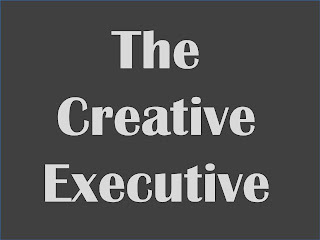 I have no trepidation about what bosses or co-workers will say if I attempt to release more creativity, but it is still a work in progress to get more playful in how I conduct myself professionally. I have been conditioned to see business in a certain way, and now I am re-inventing my point of view. Trying new ways to interact with clients and prospects is having results. I enacted a common marketing practice from another industry, and invested in a campaign that lead to new business. Additionally my speeches and training presentations are becoming more interactive because I am "playing" more with the audiences. Pushing yourself, and others, to explore creativity is necessary in our current business climate. Instead of thinking that failure is unacceptable, bosses need to encourage risk, as that is what brings reward. This is true in every industry (I see it in the meetings industry...where those who are willing to attempt stuff are seeing better results than those who are holding onto the old ways to plan events). Group brainstorming, when all participants are fully committed to uncovering ideas, can have outstanding results. We cannot get to the good stuff if we do not feel free to toss out all thoughts to see what resonates. Each person tries to validate each concept and then build upon the previous idea. Not everything works, but this process can lead to major breakthroughs. As I work with more companies (in a training and consulting role) I am getting better at helping facilitate environments where people can have fun with their creative spirits. While not everyone is comfortable sharing and being open to exploring creativity, those who do are inspired to keep seeking ways to let more creativity into their business world. 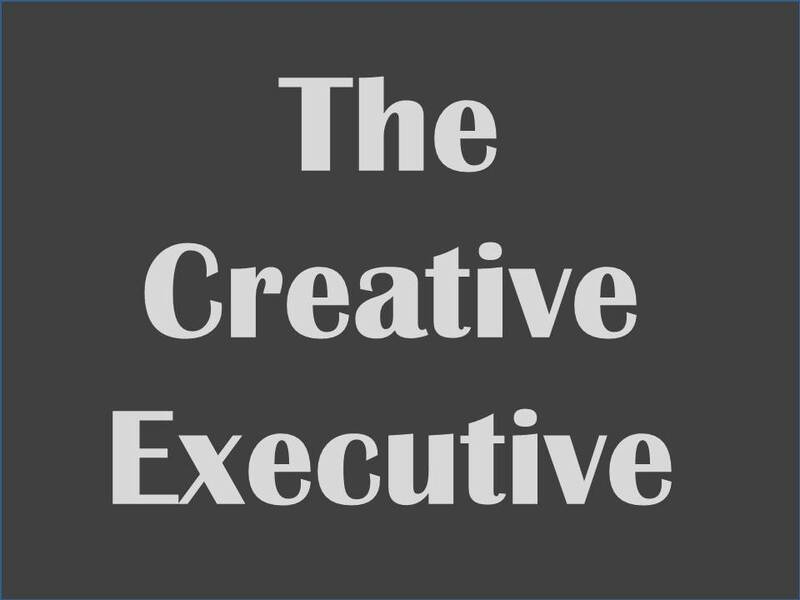 Creative executives will always be in demand, and often have more fun. When we are open to creating.... it brings out the best in all we do. I admire entrepreneurs who understand that they are really "artists" at heart, not just business professionals. What are you seeing in your company? Is creativity cherished or pushed away? My friend Patrick Henry (not the "give me liberty or give me death" guy) just released his new book, The Pancake Principle. In this entertaining book he shares his "seventeen sticky ways to make your customers flip for you".... and weaves his personal experiences with sage advice to better serve the world. Patrick is one of the first people I met when I joined the National Speakers Association four years ago. He is a second generation professional speaker who weaves his down-home southern wisdom with humor and an occasional song (he is also an accomplished guitar player and song writer). It has been great to see his career expand over the past few years, and his book is a key part to what will be continued success educating and entertaining corporate and association audiences around the country. Patrick, and his wife Lesley, were among an amazing group of people who made me feel at "home" at my first NSA national conference. They both grew up around the business (Lesley's mother has worked for a legendary professional speaker for over 30 years) and they are a great example of how a career as a speaker really is a "family affair". (side note: Patrick and Lesley actually originally met through the organization as teenagers attending the NSA Youth Leadership Program.....a very cool story, actually). As I look back at a year of "Cool Things My Friends Do" posts each Friday, there are several times I have written about new books that my friends have released. 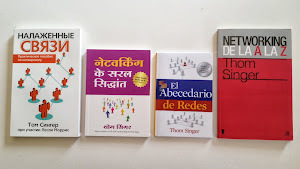 No matter how many people I know who publish new books... it is ALWAYS very cool --- and a huge accomplishment!!! I think we need to remember to celebrate the milestones that impact the lives of those around us! Congratulations to Patrick on this great publication! 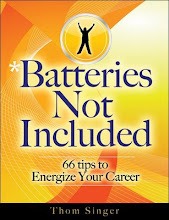 Order your copy today at Amazon.com. PS - I almost forgot, each of the 17 chapters begins with a home-made pancake recipe. My kids are thrilled to have me cook my way through each flavor of pancake!!! Your network is important. All opportunities come from people, and your meaningful relationships are a powerful asset in this hyper competitive world. Many people will come along throughout your career who can help you achieve more than you ever imagined. But not everyone you meet will become part of your circle. Sometimes there is just not the "love connections". It is okay. You do not have to like everyone, and the reality is that not everyone will like you. Sometimes you have to just give up. There are people out there with whom you want to establish a strong connection who just do not give a damn about building a relationship with you in return. 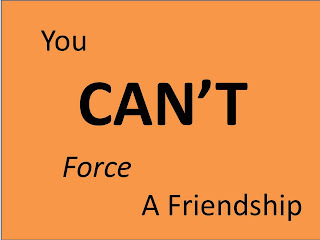 You try, but they always have something more important to do than be your friend. Too many people never will invest any effort in connecting with others. Some are busy. Others are shy. And let's not forget those who have an inflated sense of their own importance. With 7+ billion people on the planet, you should not worry about that one soul who is not into you. Move on. Don't be rude. Do not send a note. Just place your focus on other people who do share a desire to create a long-term and mutually beneficial relationship. Who knows, maybe it is a timing thing. Perhaps they will eventually come around and reach out to you. Maybe they do not see your value yet. Go out and continue to be awesome and the right people will notice. Stop over-thinking what is going on, as you cannot know the motivation of another person. We can get consumed within our own imagination and miss making the connections with the right people. Care about people and seek out those want to care about others....., and you will find them. NOTE - Please read the comments on this post. I obviously missed the mark in what I was trying to say above, as a couple of people commented negatively about my direction in the article (and a couple of friends mentioned this post to me live). I welcome others who would like to comment. 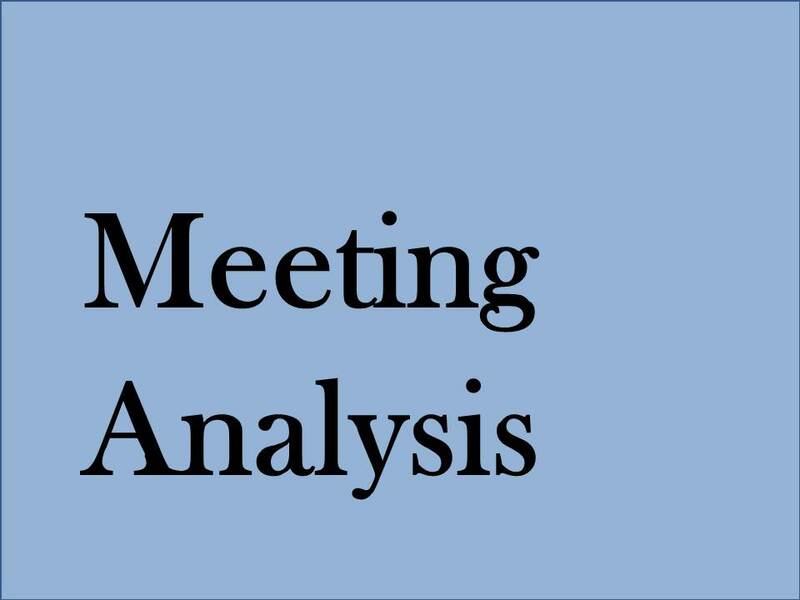 As the meetings industry continues to face new pressures, there is more need for business analysis to be embraced by planners. Business analysis is a research discipline of identifying business needs and determining solutions to business problems. Solutions often include a systems development component, but may also consist of process improvement, organizational change or strategic planning and policy development. In regards to meetings this must be also aligned with the needs of the people who are participating, not just the wants of the organizers. Business Analysis does not happen by accident. There must be purposeful actions taken withing the organizational structure. The planner's goals for change must be aligned with the business goals of the conference, but also must always place a high emphasis on the "conference attendee experience". There is a sea change happening in meetings. 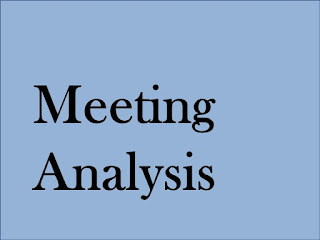 No longer is the "cookie cutter" meeting format enough to satisfy participants. People want meetings to have their own unique flair, but this means that copy-cat meeting design, even when using new methodologies for learning, will not hit the mark. Seeking help for your meeting is important. There are many consultants who specialize in pushing planners beyond their comfort zone, and the results can be very engaging. Getting your team on-board early in the identification of what makes your conference unique and working to project ways to engage your audience will lead to better results. The old way of agenda based planning will no longer work. Filling in speakers to open slots is not enough. Additionally, a speaker who is simply an expert can leave the audience board. Certainly we expect those who present to provide content, but the speakers skill to include the audience in the presentation is not longer a "nice-to-have" --- it is a "must have"! Annual meetings have to institute continual process assessment and document the areas where the conference has succeeded and failed. Learning and growing year over year is the only way to improve. There is a lot of competition for the attendees time and money, thus they are seeking the highest ROI in deciding where to be present. Making a business case for advancements in your meeting structure is necessary for success. You have to dislodge the sacred cows. Too many stakeholders are risk adverse, and often fall back on the status quo. But it is not a bad thing to shake up the meeting format, and when done with purpose it can engage people more than keeping things the same each time. When you take an informed chance on trying something new, people are very forgiving. Let attendees know your how you came to the conclusions for attempting the change, and make them part of the process. Even if an experiment fails, people are more likely to be accepting when they understand the steps that went into the creation of the event. 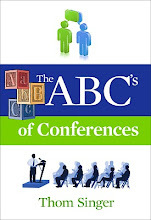 If your conference looks exactly the same as it has for several years, then you are overdue for analysis of your format, business structure and agenda. Congregate your improvement team to scope out the possibilities and prepare the business case to make changes. To minimize risk, include people from the business, planning, finance, and attendee circles and brief everyone as to the desired working relationship. Successful brainstorming involves trust from all parties, and an understanding that all ideas are welcome. It can also be a good idea to include vendors, including speakers, in your analysis structure, as they often see a variety of other conferences in their work and can bring a fresh outside perspective. Document the strengths and weaknesses of your past events and record the areas that are most ready for change. Clarify your objectives and focus on what you are willing to change, and what you are not willing to touch. Change is good, but not simply for the sake of change! All of us who work in the meetings industry need to give a closer look at our products and services and seek ways to bring more to the table for the participants. Planners, hoteliers, speakers, designers, entertainment, etc..... Everyone has to be under constant business analysis and seeking solutions. 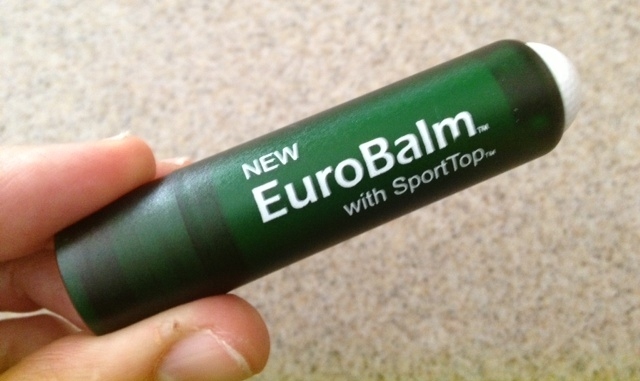 I was the keynote speaker at a major conference and I was suffering from dry and chapped lips (most likely from having been in Colorado the night before and then traveling by plane all day). Dehydration? Who knows, but it was not comfortable and clearly distracting me from preparing for my upcoming presentation. Chapped lips is not something that I encounter much, but about thirty minutes before I took the stage it was clear this was going to be a distraction. I needed to get some ChapStick (or something), but I was at a large convention center and not sure how quickly I could find a Walgreens or CVS. Scrambling to figure out my options I walked by the booth of PMSI (Professional Marketing Services, Inc.). They are a promotional merchandise company (think: SWAG) who was exhibiting at the conference. Their booth was extremely comprehensive (as you can put your logo on anything these days!). I asked if they had lip balm, explained my situation, and handed me me their sample right off the board (Velcro and all)..
Wow. I love small acts of kindness that helps another person in need. So often people look for reasons to say "No", but they never blinked - their first reaction was "YES". The small promotional product sample solved the problem... I never noticed the cracking lips again for hours. I do not have the need to buy any SWAG at this point... but I have their card on file for the next time I need promotional items. It is the little things that a company does that shows they are a class act! "Thank You" to the good people at PMSI. 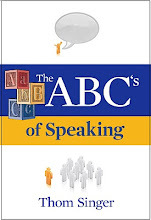 I recently met Paul Vorreiter of Reflective Spark through a recommendation from a friend in the National Speakers Association. I was seeking a designer to help recreate the look and feel of the PowerPoint, and Gerry O'Brion raved about Paul and his work. My slides were okay, but I was using a basic PPT template. While it had been custom designed five years ago, the "coolness factor" in what other speakers were using now was clearly light years ahead of my visuals. Paul was wonderful to work with on this project. He is a designer, who understands storytelling and how the images on the slide can help the flow of a speakers presentation. He was affordable (but not cheap), and he made me feel like my small project was important to him. He lives in Denver, and we conducted the entire transaction over email and telephone. The following week I was speaking in Colorado and he came by to visit with me. While he did not get to see my presentation, he did make the time to meet me for coffee. We discussed his passion for good design (he loves great design the way I love great presentations!). We quickly became good friends. His ability to assess my overall brand (which also needs work) and capture what I had always dreamed and desired from PowerPoint was amazing. The end product was spot on. It got my attention, because I had not had such compliments made in the past! Kudos to Paul for his contribution to helping me improve my presentations. If you are in need of a designer who understands what your presentation needs to keep the focus on the speaker, and create a meaningful flow of the visuals... contact Paul Vorreiter today! As a professional speaker my biggest fear is a travel snafu that does not allow me to reach the conference destination where I am scheduled to speak. I always allow plenty of time to ensure an early arrival in a city. I take the first flight out the day before the event to make sure if something does go wrong with weather or a mechanical issue, that I have several travel options. But sometimes there is a perfect storm of "stuff" that happens and everything unravels. I came very close recently to seeing my fear become a reality. I was scheduled to be "The Conference Catalyst" and first speaker at the ASAE Great Ideas Conference in Colorado Springs, CO. The event was at the beautiful and historic Broadmoor Hotel and it lined up with my children's Spring Break. Thus we decided to mix business with pleasure and enjoy a family vacation. It all seemed great. We would fly out on Saturday morning, giving plenty of time for me to be there to get situated before the conference began on Sunday afternoon. The problem began Friday at 4 PM when I got the dreaded text from Southwest Airlines that our Saturday flight was canceled. There had been a weather issue on the East Coast, and the plane for the 7 AM flight the following morning was never going to arrive in Austin. Colorado was also buckling down for a late winter blizzard that was due to hit on Saturday morning. The combination of both storms were causing all flights to Denver the next day to be in question. Add to that that Saturday was the first day of Spring Break, so all flights out of Austin were full. There was no way to get four seats to Denver on Southwest until Monday night. Even if I went alone there was nothing that the airline could do to get me there in time for my speech kicking off the conference. I had to get out of Austin, and get closer to Colorado immediately. There were no available flights to Denver or Colorado Springs for that evening, but I had to head west and get to a city with more flight options that Austin and where the locals were not starting their Spring Break. I packed a suitcase in record time and headed to the airport to catch the last flight of the day to Las Vegas. On Saturday I successfully got out of Denver on the first United Airlines flight, although the other flight I had purchased for later that day ended up also canceling. Once in Denver I still had to get to Colorado Springs. I had reserved a rental car for the family, but did not need one if I was solo. I was fortunate to get one of the last seats in a shuttle van and we headed out in the blizzard over the mountain. I was glad not to be driving in these weather conditions, but I was still scared the local authorities may close the road near the summit. I have never been so happy to arrive anywhere. When the shuttle rounded the corner into the driveway of the Broadmoor Hotel I had a huge sense of relief. In the end my travel nightmare had a happy ending. Two canceled flights, an added day with an overnight in Vegas, a crazy van ride, and the battle with the elements did not stop me from reaching the event. But it was a little too close. It took 23 hours from receiving the text of the canceled flight, but I got to my destination. Like the old movie, Planes, Trains and Automobiles, ..... it was a comedy of errors. While travel, and the occasional hassles that come with it, are part of the job of being a professional speaker, I had never had an experience where I really feared I would disappoint a client. In the end, my family did make it to Colorado Springs three days later. They extended their stay, but had to enjoy Spring Break without dad, as I had to get to my next conference speech across the country. I was sad not to be part of their vacation, but was happy they would still have their Spring Break trip and experience the amazing Broadmoor Hotel and all the fun things to do in the area. The conference itself was a lot of fun. In addition to speaking, I attended several breakout sessions and had the opportunity to meet many amazing people. I think the adventure in the journey to arrive made me appreciate how fortunate I was to be part of this conference. Gamification is hot topic in the meetings industry. We all want our conferences to be more fun and engaging, and thus mobile apps have become an attractive option to get people playing. When people share experiences they establish bonds, and that is what live events are all about (human-to-human interaction). I am a fan and user of technology, and the right tool can be amazing (I find anytime I am critical of anything "tech" there are those who think I want to return to the horse and buggy.. NOT TRUE). However, if thirty people at a conference of one thousand participants play the mobile app scavenger hunt game, there is some question to whether the utilization of the app is a "rousing success". Several conferences introduce apps for gamification and other purposes, only to have a majority of participants ignore the fun. Many people do not play, and thus it is not a real community activity. Then the organizers use Jedi mind tricks on the audience ("These are not the droids you are looking for") telling the crowd how successful the game has been in creating community. But when people are not playing the game (or outwardly mocking it in the hallways), it is not really useful. The use of technology or gamification are not magical solutions to the age-old issue of getting people engaged while at an event. Community is not something one can force upon attendees... it either evolves at the event or it does not.... and a only a few people playing a mobile scavenger hunt will not impact the overall vibe. 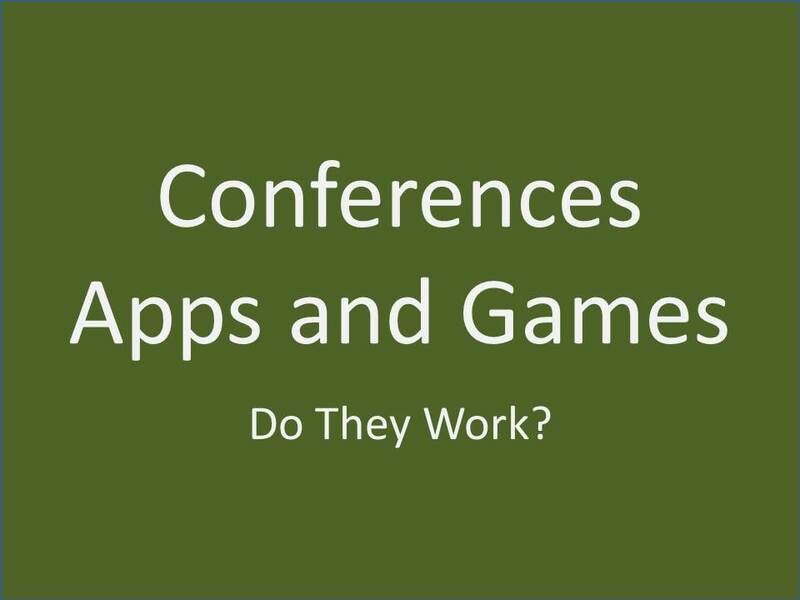 Should we not have apps or games at conferences? God no...that is NOT what I am saying. We should use implement technology. We must experiment with new ideas or nothing will ever change. But do not stand up and talk about how great it is when an audience thinks it is a silly waste of time or difficult to navigate. Treat it with honesty and get proper feedback on why people did or did not engage. I recently attended an event where their app was the "star" of the show in the eyes of the organizers..... but the attendees found it hard to use, did not like the registration process, and ignored the games. When I asked people how they liked the app they shrugged. Nobody wanted to admit the app was a flop, but it had no impact on the event. We all miss the boat when we do anything that takes the spotlight off the people in the audience. Falling in love with technology over the the "conference attendee experience" is a mistake that can easily be made when planning an event. Is it not ironic that we ask people to network with each other and then plunge them into their phones at every break? 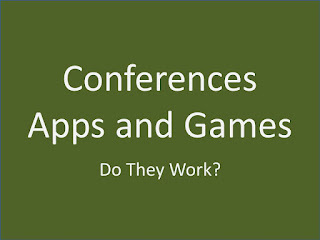 What are your thoughts on conference apps, games, and other shiny new tech? Where are they working... or not working? How will they be better in the future? That time of year is here again. SXSW in Austin, Texas. I have lived in Austin for nearly 22 years and have seen the changes that have come to SXSW over the years. There is so much that goes on from the Music, Film, and Interactive conferences.... but the thing that makes SXSW magical is not found on the agenda. The real pizzazz that makes these festivals so exciting is the mix of the people and the backdrop of Austin, Texas. Austin has a vibe. Those who have not experienced this might roll their eyes-- But others are nodding their heads as they read these words. Austin is cool and the people who live here are very nice. When you come to SXSW get ready for more than your average multi-day mega event. I have attended SXSW Interactive for seven years. The conference has exploded over time, and many argue that it has gotten too large (some say there is "shark jumping" going on - but I disagree). In the early years I saw a very integrated community. There was no levels of "whose who", but instead people were all part of a family. Now there are clearly cliques and walls that exist and it is much harder to meet people and make connections. But I do not think it is the size of the conference that has made it harder to meet people, but it is the adoption of technology over the past five years that has undermined the connectivity of SXSW Interactive. Ironic that a conference about technology is being hurt by the tech tools that have become pervasive. People spend too much time on apps, and not enough time experiencing the human-to-human part of being at a live conference. They do not look up and see the amazing life in the city that exists around the Convention Center or even their fellow participants. If you are coming to SXSW do not spend all your time glued to the agenda of panels, speakers, exhibits and parties. Get you head up from your smart phone and witness all that is around you. Get sucked in by the "Austin Vibe" and share all you see with people who are here... not posting pics to Instagram or Facebook so that your friends at home can be jealous. I am not saying to not use technology. That would be ridiculous. 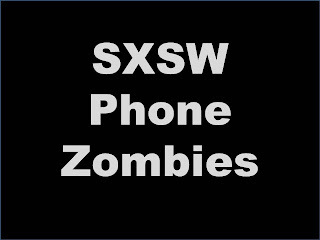 The SXSW Interactive participants would have strokes and heart attacks if not constantly attached to their electronics, and the local paramedics would not be able to handle that number of emergency calls. Instead I am suggesting you develop a balance between looking at your devices and looking at the people around you. During a speaker or panel, if the speaker is not able to captivate your attention... jump on your phone and surf the internet (or leave the room). 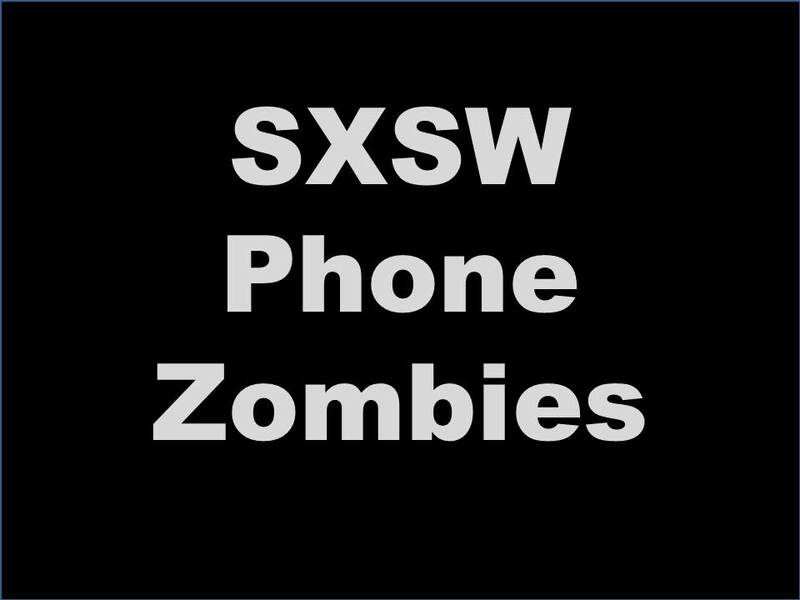 But during the scheduled breaks do not walk the halls as a "Phone Zombie". Spend your breaks in discussions with others. While standing in line, say "hello" to people. There is power in the word "hello" and it can spark conversations. These "Hallway Conversations" is where you will find the real ROI in coming to SXSW. If you take actions to engage with other people, you will find your visit to Austin to be amazing. If you are staring at your phone the whole time it is a waste of time and money to fly to Texas (however our Chamber of Commerce and City Government do appreciate your spending money here regardless of if you get a benefit from being present). I challenge you to put your phone away more than you would usually and see if it improves your time at the event. If the SXSW culture became one of talking to people then the event will be better. If the culture is one where everyone is buried in a phone or tablet, the conference will fall flat. I put a "Laptop Billboard" on my computer. When the lid is up, this is what others now see instead of a blank sheet with the manufacturers logo. I was interviewed by Association Mavens host Bryan Kelly about The Conference Catalyst program, and my thoughts on how to improve the conference attendee experience through creating an atmosphere for better networking. I look forward to seeing Bryan in person at the ASAE Great Ideas 2013 Conference. I have met him before, and he is a great person. Check out Association Mavens and see all his interviews with some very interesting people in and around the association industry. 2013 February Fundraiser for "Kate Singer Endowment" Raises $1980.00 - Thank You! Each year we celebrate Kate's Birthday with a fundraiser for our family's "giving endowment" to Dell Children's Hospital. We donate 5% of my earned speaking fees between two funds (one at Dell Children's in Austin and the other at Rady Children's in San Diego). Kate was born with a condition called Sagital Synostosis which caused the bones in her head to prematurely fuse. She was had surgery, and today is doing great. This year we raised $1980.00 from donations from friends, family, colleagues, and others who supported our 6th annual fundraiser. 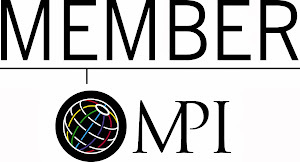 Cool Things My Friends Do - Joshua Baer Named Entrepreneurs Foundation's "Community Leader of the Year"
Each year the Entrepreneurs Foundation of Central Texas honors someone in Austin as the "Community Leader of the Year". This year's award went to my friend Joshua Baer. I attended the party to celebrated EF and their award winners, and it was a great gathering of the Austin Start-Up Community. (A highlight of the night was talking to the delightful Amy Baer, Josh's wife...and clearly his better half!). Josh is the co-founder of The Capital Factory, and a serial entrepreneur who is committed to helping others. Since arriving in Austin in 1999 he has been an active part of the local entrepreneurial eco-system. What impresses me about Josh is that he is always willing to meet and chat with any entrepreneur or wanna-be entrepreneur. He never says "no" when it comes to helping those who are pulled toward starting or growing a business. Congratulations to Joshua Baer on being named the Community Leader of the Year. Well done and well deserved.